AMP Concerts - The Infamous Stringdusters - SOLD OUT! 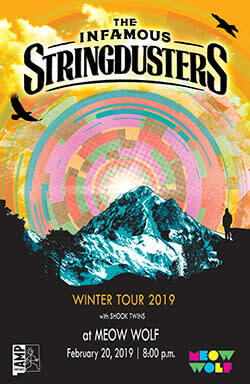 The Infamous Stringdusters - SOLD OUT! Tickets are $33 in advance, $36 day of show (including all service charges). They are also available by phone through Hold My Ticket at 505-886-1251. A band should never stop progressing. Forward motion belies creativity and evolution. A staunch and unwavering commitment to progression is how an unassuming group of five friends can collectively become a Grammy Award-winning force of nature. That's exactly how it happened for The Infamous Stringdusters. 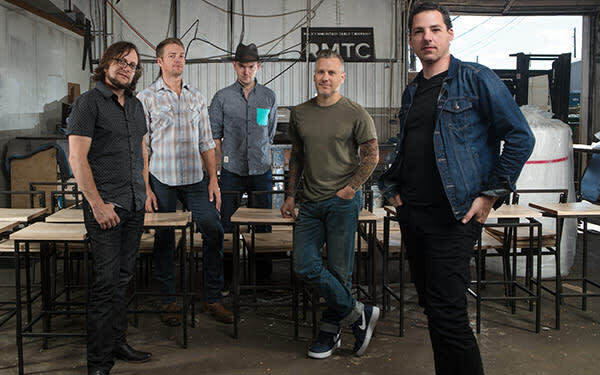 Within thirteen years since their 2005 formation, the band—Travis Book (bass, vocals), Andy Falco (guitar, vocals), Jeremy Garrett (fiddle, vocals), Andy Hall (dobro, vocals), and Chris Pandolfi (banjo, vocals)— have consistently forged ahead, relentlessly exploring the musical possibilities of a "bluegrass ensemble" and breaking down boundaries in the process. In a genre known for traditionalism, the 'Dusters have consistently covered new ground, inspired fans, and redefined what a bluegrass band can be. 2018 represented a high watermark for the quintet as they took home a Grammy Award in the category of Best Bluegrass Album for their 2017 release Laws of Gravity. 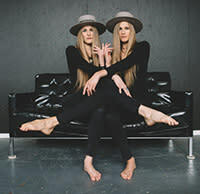 Shook Twins is the Idaho-born and Portland-based indie outfit featuring identical twin sisters Katelyn Shook (vocals, guitar) and Laurie Shook (banjo, vocals). The group emerged in 2008 with their independent debut You Can Have The Rest. Organically stirring up a buzz, they engendered fandom in fellow creators such as Langhorne Slim, The Lumineers, Mason Jennings, and iconic best-selling author Neil Gaiman who claimed, "They make music that twines through your soul the way vines cover an abandoned shack in the woods." They have shared bills with everyone from Ryan Adams to The Indigo Girls. Their artful amalgam of folk heart, indie spirit, and alternative energy has effectively captivated fans internationally.